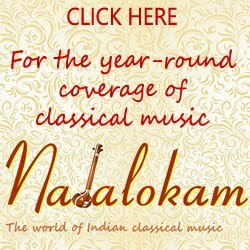 Another passionate effort in promoting classical music by P.N. 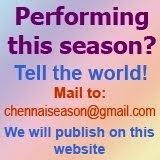 Muralidharan is Chennai Fine Arts. The organisation hosts monthly concerts and a series of concerts during December every year. This year the annual music festival is held from Dec. 21 to 30, 2017. The festival is supported by Ministry of Culture, Govt. of India. Admission is free to all the concerts.